Stairlifts Basingstoke - Basingstoke or Boringstoke? Calling all those of you from Basingstoke and the surrounding area of Hampshire who need help with mobility. 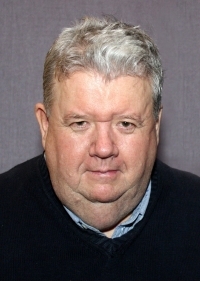 Come on, watch Keith's video, he's the founder of Castle Comfort Stairlifts and knows all there is to know about them. Keith or one of his colleagues will be happy to advise on the stairlift to suit you, on delivery and installation and even on grants which may be available to you. Want to know more about us take a look at our history and then call us on 023 8124 3046 (7am – 11pm). Now for your armchair tour of Basingstoke in the North East of Hampshire which although looking like a new town actually dates back to the iron-age. Basingstoke was mentioned in the Doomsday Book as a small market town which is what it remained until the 1950s. The town was expanded in the 1960s as part of the agreements between London County Council and Hampshire County Council for London overspill. Since then Basingstoke has continued to grow. The name of the town Basingstoke is thought to have come from a tribe called Basingas whose settlement was Old Basing just east of Basingstoke and thought to be the older settlement of the two. Basing means Basa's People. Basing House, now a ruin, was built as a Tudor Palace for the first Marquis of Winchester. During the Civil War, the house came under siege and Cromwell is believed to have stayed there. 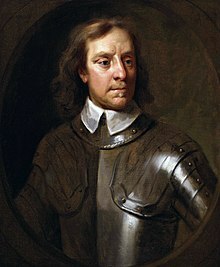 There's no need to be holed up in your home feeling like you're under siege like Cromwell. Castle Comfort Chairlifts are here to help make your life more manageable, more mobile and generally easier. Take a look at the stairlifts on our website and then contact us to discuss so that we can assess the best chair for you. Basingstoke has also coined the nickname Boringstoke and Doughnut City, the latter because of the number of roundabouts in and around the town. Did you know that roundabouts are safer than either traffic circles or junctions? There are significantly less accidents and injuries on roundabouts than on other types of junctions: 80% less injuries, 40% fewer collisions, 90% less serious injuries and fatalities. The origins of the doughnut are somewhat mixed; it is thought to have been taken to America by Dutch settlers and has since spread all around the world from The Netherlands to America to Africa and Asia and back to Europe! Every country has its own shape and decoration/dressing. 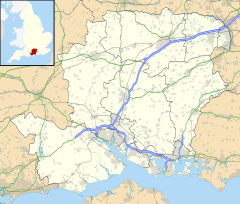 Geographically Basingstoke sits fairly centrally in southern England just 48 miles from London making it very commutable; it is 30 miles north east of Southampton and 16 miles south west of Reading in Berkshire and 19 miles north east of the city of Winchester. It is surrounded by farmland, villages and towns such as Hook, Whitchurch home of Richard Adams author of Watership Down and actor James Robertson Justice, Winklebury with its remains of an iron-age hill fort, Dummer original home of the Ferguson family including Sarah Ferguson, Duchess of York and Tara Palmer Tomkinson, Sherborne St John and Oakley once named the happiest village in Britain (2007), Silchester, Sherfield on Loddon and Aldermaston scene of the CND ban the bomb marches of the 1980s in protest of the Cruise Missiles based there. From its relatively close proximity to London, it is easy to see why Basingstoke was a perfect choice for a London overspill town! The programme aimed to relocate over a million Londoners due to the massive housing shortage in the capital after World War II. How are your relocation skills? Having difficulty getting round your own house let alone further afield? If you are then look no further than Castle Comfort Stairlifts, we can take you on the journey of a lifetime everyday! We are the national agent for all stairlift manufacturers so we can match you up with your perfect partner to ferry you up and down those stairs. Please give your local Castle Comfort Stairlifts Office a call on 023 8124 3046 now to discuss the possibilities. Back to Basingstoke. With a large influx of people, the town has quickly grown from a small market town to a thriving large one with a population of some 90,171. It is what is described as an expanded rather than a new town in the overspill programme. With expansion has come big business investment and many companies have chosen Basingstoke as their headquarters. Technology companies like Motorola, Sony, GAME, ST Eriksson, Huawei Technologies and other companies such as Sun Life Financial of Canada, The Automobile Association, PARBAS Lease Group UK. So if in reality Basingstoke is a large sprawling extended town with a penchant for boredom, in fiction it becomes something else. 'Basingstoke' was the code word used by Sir Despard Murgatroyd to comfort his wife Mad Margaret in Gilbert and Sullivan's comic opera Ruddigore; Basingstoke became 'Stoke Barehills' in Thomas Hardy's novel Jude the Obscure. It is also famously mentioned in Episode 42 of Monty Python's Flying Circus as the site of a WWI battle. Basingstoke, Hampshire? No, Basingstoke, Westphalia! Still laughing, Basingstoke's North Hampshire Hospital was one of the two sites used by Channel 4 as the site for Green Wing. Basingstoke featured in The Hitchhiker's Guide to the Galaxy in conversation between Arthur Dent and Ford Prefect about hitching a lift on a space ship. Basingstoke's notoriety was endorsed when Rodney Trotter confessed he was expelled from Basingstoke Art College for smoking cannabis. (Only Fools and Horses). 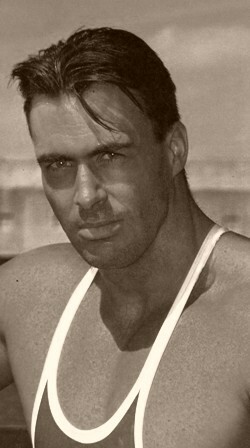 Actor Mark Griffin who played Action Man in the film and Trojan on Gladiators is from here. 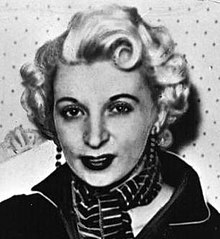 Infamously Ruth Ellis the last woman to be hanged in Great Britain grew up in Basingstoke! Born in Basingstoke: famous model Liz Hurley; actor Ian McNeice; musician Carl Barât of the Libertines and Dirty Pretty Things; Tom Cleverley, footballer for Manchester United; Queens Park Ranger footballer, Rowan Vines; Tom Croft England Rugby player; cricketer Lee Nurse; Waldemar Januszczak, art critic and film-maker. Hope you've enjoyed your armchair round-up of all things Basingstoke. No matter if you aren't a famous Basingstoke personality, if you need mobility help, Castle Comfort Stairlifts are the people to contact. Give us a call on 023 8124 3046.